This morning, 40 long-faced electric car pioneers handed back their keys, as the final phase of the Mini E public trial came to a close. It seems like only a few months since I wrote about the recruitment drive, bemoaning the fact that my house sat awkwardly outside the trial zone and that my bank balance wasn’t up to the task of contributing a couple of grand to BMW’s EV development programme. But in fact it’s been ages, willing victims were in plentiful supply, and the two six-month trial phases have come and gone. 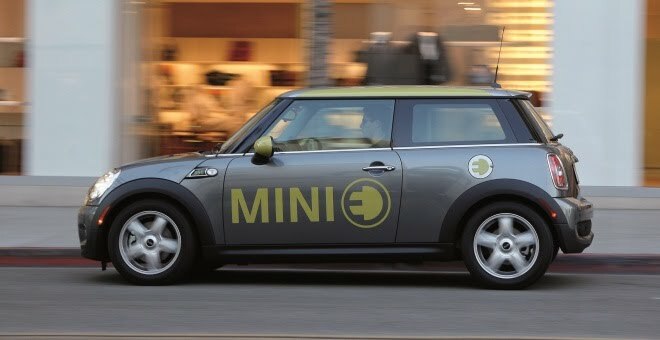 I drove the Mini E in October 2009, and I can testify that the car was a bundle of fun – albeit one with an over-abundance of enthusiasm for regenerative braking. No doubt the triallists will miss it, even if they won’t lament the terrible packaging that plonked a 5,000-cell, quarter-tonne battery where the back seats normally reside. And it’s breathtaking to see how much BMW has raised its game in the three short years since the Mini E was first cobbled together. A few weeks ago, the company announced details of an ambitious initiative, under the umbrella label “i”, encompassing not just electric cars but a substantial venture-capital fund, designed to foster development of innovative urban mobility applications. The company is clearly trying to take a leaf from Apple’s book, not just in the choice of that increasingly overused single-letter prefix. It wants to pull off an Apple-style game-changing business manoeuvre, by building the iPod and iTunes of electronic motoring. While Apple was an outsider that managed to outwit established music moguls, BMW has no intention of ceding any of its future profits to a upstart interloper like Better Place. So the first production all-electric Beemer will be a sophisticated, left-field creation designed to disrupt. 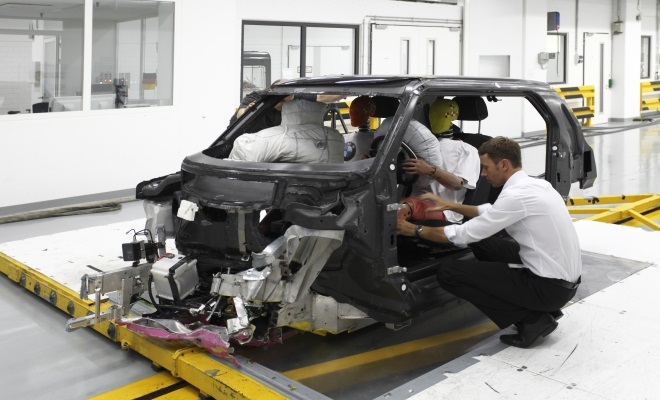 The BMW i3 that will arrive in 2013 is no tin box with a battery but a complex confection of lightweight materials and clever technology. The delightful video below shows a lightly disguised i3 gambolling through the snow in cold-weather testing. It reveals a car that’s as intelligently packaged as the original 1959 Mini. No long bonnet because there’s no engine up front, meaning great visibility exiting urban junctions crusted with parked cars. There’s a wheel at each corner, and a big, accommodating passenger space between. The stubby body is carbon fibre, bolted to a flat aluminium frame housing the batteries, slung flat and low. The motor spins the rear axle, as can be clearly seen in the video as the car drifts gently across the ice. No doubt the i3 won’t come cheap – BMW has yet to give any hint of an on-the-road sticker price, but it will probably make the pricey Nissan Leaf seem like a bin-end bargain. But prices will tumble eventually, I have no doubt. So even as the Mini E rolls into the sunset, tomorrow is looking all the more interesting. As enchanting as the Mini E was, it will seem like a half-baked dog’s dinner next to the gourmet morsels that are yet to come.